This should start with a gist of the broad issue at hand and break it down to address the specifics, which will be discussed in further detail within the essay body. The introduction should provide background details about the selected subject, realise the relevant issues and simultaneously walk the reader towards an understanding of why and how the specific focus of the essay is germane to the wider subject. The introduction section should conclude with a statement of focus, often also known as focal statement, purpose statement or thesis statement. This statement is crafted to explain to the reader the particular point that you wish to prove within the essay. The body of the essay is the core of any essay. It contains all the information, arguments, evidence, statements etc., which comes naturally from the points already discussed in the purpose statement. The body consists of an array of paragraphs. Every paragraph should start with the topic description, which will identify the subject of the paragraph. After this, each topic of the paragraph is developed and elaborated using examples, details, analogies and evidence. 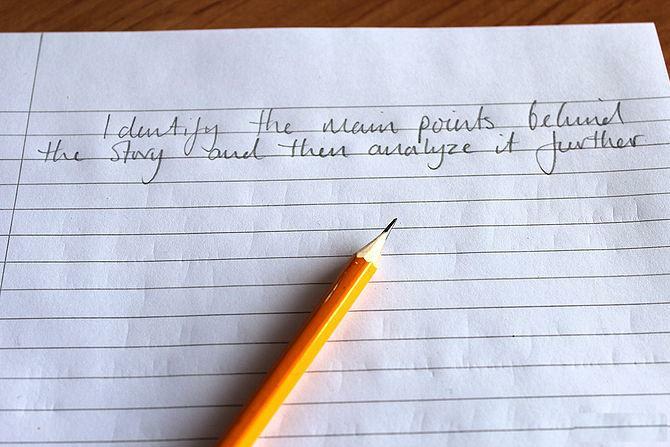 All paragraphs must finish with a concluding sentence, which assembles all of the information together and refreshes the mind of the reader as to how it connects to the focus of the essay. A conclusion flows from specifics to generalisations. It begins with a reiteration of the purpose statement, sums up the primary points of the supporting paragraphs and concludes with a wider conclusion about how the topic is relevant to the general problem explained/discussed within the introduction. No new data should be given in the conclusion. All information in the conclusion should follow on from information that has been provided to the reader within the body. If you were to add fresh information in the conclusion, it could confuse the reader of the essay and alienate them from the piece. This is the basic structure of any essay, with all the relevant details each part of the essay should encompass. Hope this will help you in conceptualising and crafting a meaningful essay. You also have the option to hire a dedicated and professional proofreading service provider if you want to double-check the language and other aspects. In most written work especially in essay structure guidance are very important and conclusion about how the topic is relevant to the general problem discussed within the introduction are also requirement. The technical education is the need of the hour in underdeveloped countries. The reason behind this is poor condition of the people. In most written assignments, which include essays, you need to add introductory paragraphs and concluding paragraphs, and of course the body, containing the supporting paragraphs. This should create with a general idea of the wide issue at give and split it down to talk to the particulars, which will be discussed in additional feature within the essay body. I had many difficulties to write an essay but now i have been reading tips for essay writing from my friends website.These site always guide.. I had many difficulties to write an essay but now i have been reading tips for essay writing from my friend's website.That site always guide.. This is the fundamental structure of any article, with all the significant points of interest every part of the exposition ought to incorporate. Trust this will help you in conceptualizing and making an important paper. This ought to make with a general thought of the wide issue at give and split it down to converse with the particulars, which will be talked about in extra element inside the article body. This is the major structure of any article, with all the noteworthy purposes of intrigue all aspects of the piece should fuse. Believe this will help you in conceptualizing and making an essential paper. I had numerous challenges to compose an article however now i have been perusing tips for paper composing from my companion's website.That webpage dependably manage. Exposition structures ought not be excessively befuddling or overwhelming. In most composed assignments, which incorporate papers, you have to include early on sections and closing passages, and obviously the body, containing the supporting passages. Trust this will help you in conceptualizing and making a basic paper. I had various difficulties to create an article however now i have been scrutinizing tips for paper forming from my buddy's site. This is the basic structure of any article, with all the critical purposes of intrigue all aspects of the piece should consolidate. This is the fundamental structure of any article, with all the basic reasons for interest all parts of the piece ought to unite. Trust this will help you in conceptualizing and making an essential paper. I had different challenges to make an article however now i have been examining tips for paper shaping from my amigo's site. This have to start with a gist of the vast issue at hand and smash it right down to address the specifics, in order to be mentioned in similarly detail inside the essay frame. The advent need to provide heritage details about the chosen concern, realise the relevant troubles and concurrently stroll the reader closer to an information of why and how the unique cognizance of the essay is germane to the broader issue. Hello, author! Thanks for sharing this information with us it is very useful and unique. In past I have been interested in fashion and spend a lot of time searfing the web and reading about fashion trends and famous people on http://www.cosmopolitan.com but now I’m happy I found your site and will know now more in different spheres of life but not only fashion. wonderful amazing information i appreciate your great effort in education sectors keep it up! Bạn nào sửa và thêm hộ mk vs ạ! Thank you/ letter /I /glad /hear/ you/ have /enjoyable/ Teacher's day. I/ receive/ first semester report /last week. I /get/ good/ grades/ English/ chemistry/ geography/ but/ math/ be/ bad. My teacher/ ask/ improve/ them. In a few week/ I/ going/ join/ the Y & Y green group. We/ plant trees and flowers/ school garden. Write/ soon/ tell/ all/ news. Nice information thanks for sharing this stuff. hi, this is nice post. If you are just starting out with your DSLR, I highly recommend that you start practicing by using your Aperture Priority mode (AV for Canon and A for Nikons) and Shutter Priority mode (TV for Canon and S for Nikon). You can change this through the mode dial at the top of your camera. I like your blog. Keep posting more interesting posts.